Iowa Now previously announced the recipients of the Lola Lopes Award for Undergraduate Student Advocacy (Kelly Thornburg) and the President and Provost Award for Teaching Excellence (Meenakshi Gigi Durham, Julie Jessop, Russell Larsen, and Thomas Oetting). Karla Alvarez, Center for Diversity and Enrichment. 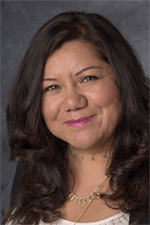 Alvarez works as a senior multiculturalist specialist in the UI Center for Diversity and Enrichment. In this role, she advises and supports 450 undergraduate and underrepresented undergraduate students throughout their respective degree programs, supervises and evaluates seven multicultural specialists and three administrative support specialists, designs and implements training of professional and student staff, and collaborates on various programs and committees with other University of Iowa departments. For the last four years, Alvarez has worked with UI International Programs to support the India Winterim Program. She co-teaches a study abroad course in Pondicherry, India. She is responsible for promoting the course, sharing information with prospective students, and developing the course to deliver it during the winter session in India. Because of Alvarez’s outreach efforts, the course has increased its enrollment of underrepresented and first-generation college students. Dawn Marshall, College of Engineering. 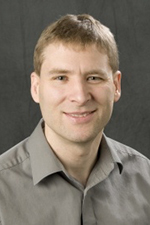 Marshall is the director of the Safety Research Using Simulation (SAFER-SIM) University Transportation Center and a research manager with the National Advanced Driving Simulator (NADS) at the UI. She has been engaged in driving research since 1997 and has been with NADS since 2004, serving as principal investigator, project manager, data-collection coordinator, and research associate for several National Highway Traffic Safety Administration (NHTSA)–funded projects, as well as for the Iowa DOT, Rockwell Collins, Hyundai Motor Group, and other public- and private-sector clients. Marshall recently served as principal investigator for a $1.6 million project that spanned five data-collection sites with multiple phases of data collection funded by the NHTSA. 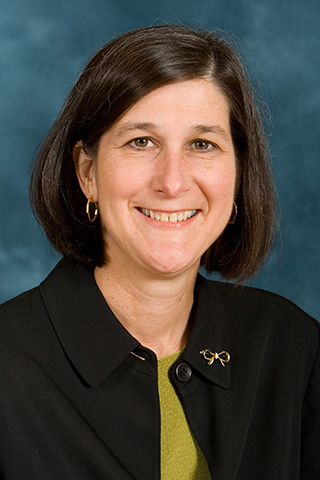 Her research with NADS has spanned several topics involving simulation and test-track methodologies, including projects evaluating in-vehicle systems such as adaptive cruise control, lane-departure warning, forward-collision warning, intersection-violation warning, and development and evaluation of situational-awareness measures within a connected-vehicles context. Her experience also includes the effectiveness of warning systems for older drivers, teen driving behavior near licensure, and integrated control heads for law enforcement. Donald Morgan, College of Medicine. Morgan is a research specialist in the Department of Pharmacology in the UI College of Medicine. 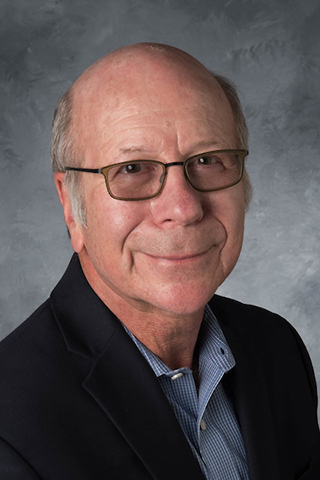 He has made many contributions toward research and teaching missions throughout his 38-year career, beginning at the VA Medical Center and then at the UI. His outstanding technical skills have been used in neurophysiological studies in rodents—he is among the very few in the world who can isolate and record the electrical activity from many different nerves found in the rat and in the mouse, making the University of Iowa a world leader in this area. Morgan’s unique surgical skills and creativity have allowed the department to push further the science’s technical boundaries, making it possible to extend the repertoire of the approaches that can be applied in UI studies. Morgan’s work ethic plays a key role in the lab’s productivity; the lab publishes on average six to seven papers per year in highly esteemed journals such as Cell, Cell Metabolism, and Nature Medicine. He has published more than 117 papers during his career. Morgan has trained innumerable graduate students, postdoctoral fellows, and faculty over the years, not only at the University of Iowa but also from other national and international institutions. Randall Ney, Office of Faculty and Staff Immigration Services. Ney serves as director and immigration attorney for the University of Iowa, providing a comprehensive range of legal services on all employment-related matters for the UI and UI Hospitals and Clinics, including nonimmigrant petitions, immigrant petitions, and J-1 waivers. Ney interprets and applies federal law, policy memoranda, and judicial decisions; develops forms and procedures for use in employment-related immigration matters; and provides consultation to administrators and employees on immigration issues. Ney’s skills have been praised as instrumental in filling faculty positions in medicine, dentistry, engineering, and other academic disciplines. Ney’s response to changing regulations provides information to campus employers when they are impacted, and he often assists in providing information to legislators about the impact that proposed legislation may have on the UI and the citizens of Iowa. Ney also supports the hiring of faculty and staff at the University of Northern Iowa; without this relationship, UNI would have to seek out private legal counsel at a significantly higher cost. Christopher Parker, College of Pharmacy. Parker is the director of clinical pharmacy services for Centralized Healthcare Solutions, a company located in the UI College of Pharmacy. In this role, he has developed an infrastructure to provide centralized, team-based care utilizing a multidisciplinary team consisting of pharmacists, student pharmacists, and nurse-practitioner students providing clinical services, and has identified and established business relationships with medical offices to provide clinical services. Parker currently conducts research in treating smokeless tobacco use in rural veterans. 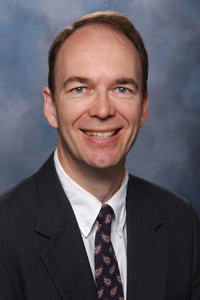 Through this research, he evaluates the feasibility of an individually tailored intervention for rural smokeless tobacco users; examines the impact of the intervention on treatment utilization, patient satisfaction, and smokeless tobacco cessation; develops and improves access to effective treatments, and selects appropriate pharmacotherapy guided by each veteran’s medical history, preferences, and concerns about side effects. 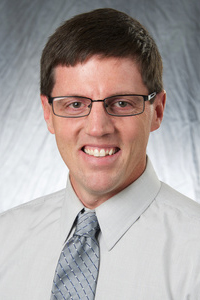 Parker also teaches Sustainable Clinical Pharmacy Services, a course for third-year UI pharmacy students. Jill Terrill, Tippie College of Business. 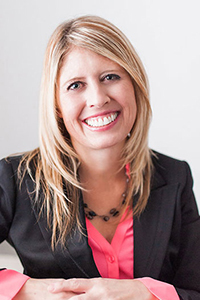 Terrill is the associate director of the University of Iowa Executive MBA Program. She is involved in all aspects of the program, including student recruitment; student satisfaction and outcomes; building and managing relationships with alumni, corporate partners, and stakeholders; strategic planning and analysis; event planning and logistics; and staff management. Before ascending to the associate director role, Terrill created and executed a strategic recruiting plan for prospective students and presented the Executive MBA Program to prospective students and employers. She is in regular contact with business leaders across the state, and she has supported more than 130 students that work in more than 70 organizations. Numerous program alumni credit Terrill for her tireless work on behalf of the program as a decisive factor for their participation, commending her building of relationships with the perfect balance of accessibility and professionalism. Renee Houser, Office of the Registrar. Houser, senior associate registrar, not only oversees the scheduling of thousands of courses each session—as well as exams and other events—she also manages and maintains standards for classroom resources to ensure that students and faculty have quality classroom experiences and that classroom infrastructure is used effectively. 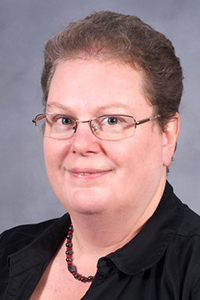 She has led the university’s effort to increase the utilization of classrooms across campus and has helped shape policy for classroom design, including through her work on committees that have created new types of classrooms to support specific pedagogy. Her work with faculty and administrators to implement standardized class times created significant additional capacity during peak teaching hours. After the flood of 2008, 11 classroom buildings were unavailable, requiring the move of 1,800 classes in the first week of the summer session. Houser and her staff accomplished the move through extraordinary effort during a single week. Christopher “Todd” Hubbard, State Hygienic Laboratory. Hubbard, environmental supervisor at the State Hygienic Laboratory, has dedicated himself to serving others professionally, culturally, and socially. His professional contributions in the field of environmental health monitoring extend far beyond his work responsibilities and reflect his passion for scientific discovery. Hundreds of students in the state of Iowa are captivated each year by his presentations promoting environmental awareness. Since 2010, he has participated in Critical MASS (Mentoring and Student Support), a proactive mentoring program designed to provide students with guidance in avoiding second violations of the Code of Student Life. Since 2009, he has been an active participant in Campus Conversation Partners, providing rich and welcoming experiences to help integrate his English-learning conversation partners into campus and American cultures. From 2012 to 2015 he served on the Lecture Committee, working to bring notable world thinkers to the UI to promote intellectual diversity. Cory Lockwood, Iowa Memorial Union. Lockwood, associate director for event and facility operations at the Iowa Memorial Union (IMU), has been the driving force behind many advancements and improvements. His efforts were integral to the post-flood revitalization and reoccupation of the IMU ground floor—a location that is not only important to current students but is often the first place visited by prospective students and guests. More recently, he played a key role in efforts to revitalize the UI Cultural and LGBTQ Resource Centers. He works closely with the University of Iowa Student Government and the Graduate and Professional Student Government and has helped bring many of their visions to fruition, including the creation of the UI Student Food Pantry. He has participated in many leadership initiatives at the UI and in the Iowa City community, and most recently was selected to be a member of the Executive Leadership Academy. Matthew McLaughlin, College of Engineering. 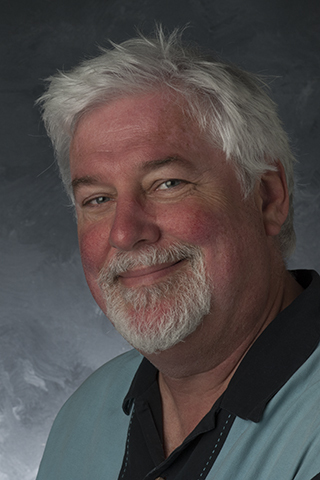 McLaughlin, director of computer services for the UI College of Engineering, is universally regarded in the college as “the problem-solver” and is often called upon to go beyond the bounds of his job description to assist with difficult challenges. He has been involved in projects ranging from the development of state-of-the-art computing facilities to instructional support activities to deployment and support of research infrastructure. His technical expertise and sound judgment are highly sought after within the campus IT community, and he is regularly asked to participate in or consult on projects with other colleges and with ITS. As secondary facilities coordinator for the college, he contributes actively to discussions around space design, furniture selection, power and networking considerations, and so on, and has been instrumental in ensuring that spaces in the Annex and the rest of Seamans Center meet the college’s research and instructional needs. Marguerite “Maggie” Moore, UI Employee Assistance Program. 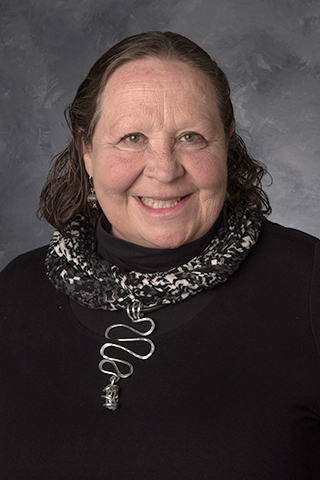 Moore is director of the UI Employee Assistance Program (EAP), where she is committed to providing high quality, accessible care for faculty and staff to promote emotional well-being. Under her leadership, the EAP has developed a number of new services in response to campus needs, including a free, comprehensive online treatment program for insomnia called SHUTi, and Building Resiliency@Iowa, a program designed to support faculty and staff in in an ever-changing and fast-paced work environment. She has been instrumental in expanding accessibility of the EAP, with services now provided in four locations on campus. A licensed social worker with extensive experience in program development, administration, and the delivery of behavioral-health clinical services, she is also an adjunct faculty member in the Department of Psychiatry in the Carver College of Medicine, where she provides supervision to Child Psychiatry Fellows. The Child Fellows named her teacher of the year in 2015–16. Laura Prince, Faculty and Staff Immigration Services. Prince is senior immigration specialist in Faculty and Staff Immigration Services. Her work in that role makes it possible for the university to hire and retain highly skilled faculty, staff, and postdoctoral scholars from all over the world. She successfully led the transition of the office to a new centralized service model in January 2017 and navigated unexpected changes in federal policy that created a much heavier workload. On many occasions, she has put in extraordinary effort under very tight time pressure to work out a solution that has enabled individuals to begin or continue work at the UI. In addition to providing her expertise to departments, she goes out of her way to make sure staff members she works with understand the process of preparing the submitting paperwork for H-1B visas, adding to the knowledge base of all human resources representatives on campus. Kevin Kelley, Office of Strategic Communication. Kelley, video producer for the UI Office of Strategic Communication, has made many long- and short-form videos and films that have provided an up-close-and-personal look at people and programs at the University of Iowa. Most recently, he served as producer, director, and editor for the documentary film Jackson Pollock’s Mural: The Story of a Modern Masterpiece, which has not only been shown on PBS stations around the country but has also accompanied the painting to five countries and was invited to six national and international film festivals. Other standout projects include Freestyle, a film about legendary wrestling coach Dan Gable that aired on HBO, and Checker King, the story of an aging Iowa widower who enters the national checkers championship, which made the short list for the Academy Awards in 2001. Kelley has mentored many UI film students who have gone on to successful careers in the field. Teri Schnelle, Division of Student Life. 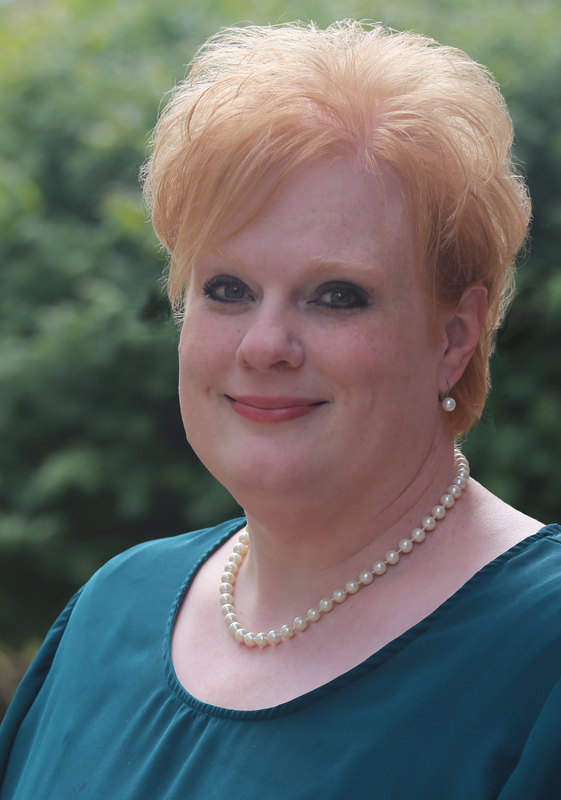 Schnelle is associate director for assessment and strategic initiatives in the Division of Student Life. In addition to her responsibilities for assessment and program review within the division, she has volunteered to lead various efforts that have strengthened campus inclusivity and student health and safety. For instance, she took on a project to make the language on the division’s website more trans-inclusive, which ultimately led to a broader, collaborative effort to improve resources for transgender individuals on campus. Through her work helping to administer the Campus Climate Survey, she has become an expert in the administration of such surveys and the use of the data and has been invited to share her expertise with other Association of American Universities (AAU) member universities. Her work with the Anti-Violence Coalition to create a centralized repository of assessment data related to anti-violence education has been noted in an AAU report as a model practice. Joseph Kearney, Department of Computer Science. Kearney is a creative and successful researcher with a focus on developing virtual-environment technology to study important real-world problems, such as how child and adult pedestrians and cyclists cross roads with traffic. Graduate and undergraduate students working with him in the Hank Virtual Environments Laboratory enjoy a unique interdisciplinary training opportunity at the intersection of computer science and psychological science, with important implications for applied areas such as transportation safety. Kearney served as associate dean for research and development in the College of Liberal Arts and Sciences from 2003 to 2016 and in that role became vital to the flood recovery project, first finding temporary facilities for units affected by the flood of June 2008 and eventually working with campus and external partners to rebuild and reinvent the arts campus. He has also been pivotal in the development of the Public Digital Arts, Digital Humanities, and Informatics clusters. William Liu, Department of Psychological and Quantitative Foundations. 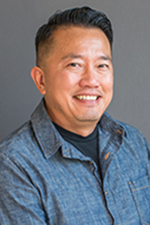 Liu is a renowned scholar in multiple social justice domains, including social class and classism, men and masculinity, Asian American studies, veterans’ issues, racial identity, and homelessness. Within his social class research, he created a theory called the Social Class Worldview Model that is used in multiple disciplines to better understand issues related to social class and poverty. He is editor-in-chief of one of the leading journals of the American Psychological Association, Psychology of Men and Masculinity. A longtime provider of clinical services at Shelter House of Iowa City, Liu served as president of that organization’s board of directors from 2014 to 2015. In 2011, he secured a grant from the Veterans Rural Health Resource Center, which led to the creation of the Iowa City Lodge Project, which provides permanent housing to homeless veterans, as well as psychological services for the residents via practicum clinical experiences and graduate assistantships. 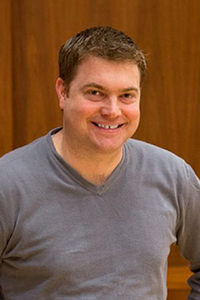 Michael O’Hara, Department of Psychological and Brain Sciences. 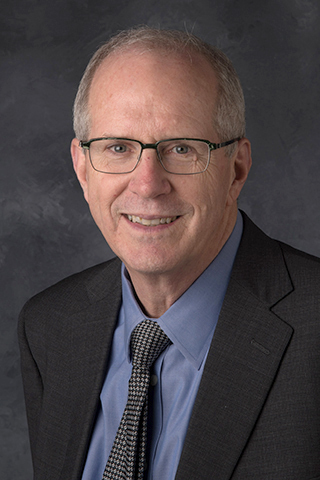 A world-renowned expert on the causes and consequences of perinatal depression, O’Hara is a Starch Faculty Fellow in the College of Liberal Arts and Sciences and founding co-director of the Iowa Depression and Clinical Research Center. He has authored or edited several seminal texts on depression and on psychopathology. 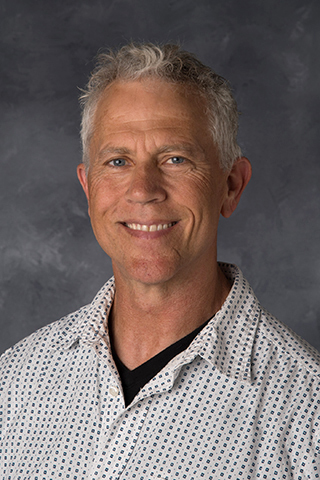 With a deep commitment to providing students at all levels with the best possible learning experiences, he has taught large General Education courses for many years, mentored undergraduate research, and supervised more than 30 honors theses for undergraduates who have gone on to graduate school. Graduate students he has mentored have earned tenure-track faculty positions at many prestigious universities. 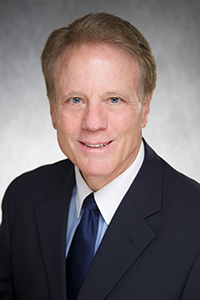 His remarkable record of service to the department, college, and university includes serving as department chair from 1994 to 2000, associate dean from 2000 to 2003, and Faculty Senate president in 2008–09. He received the Michael J. Brody Award for Faculty Excellence in Service in 2012. Edith Parker, Department of Community and Behavioral Health. 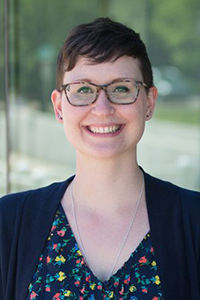 Parker is internationally recognized for her research in social and environmental determinants of health, with particular emphasis on the theory and practice of community-based participatory research. She has designed and carried out some of the most innovative and interdisciplinary community-based research in the nation. Examples of ways her work has contributed to healthier communities include studies that highlighted the effectiveness of community-health-worker interventions to improve the health of children with asthma and studies that identified factors that influence dissemination of heat wave–mitigation interventions among vulnerable populations. 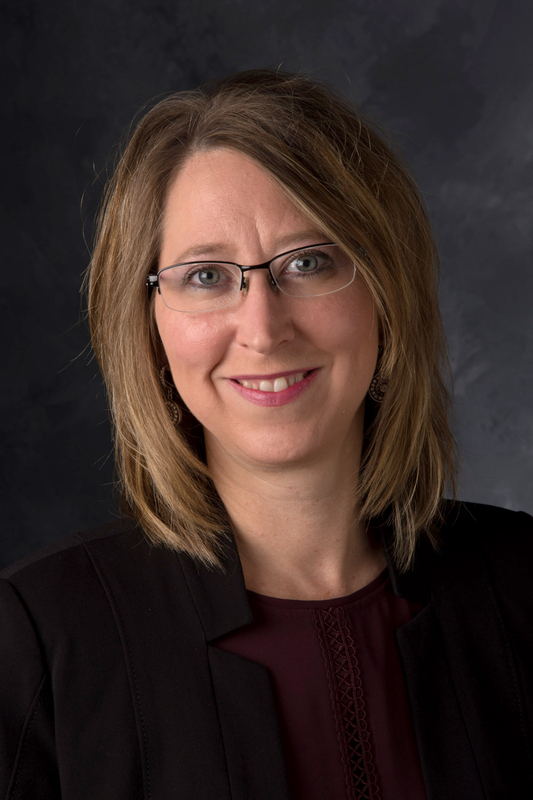 She is departmental executive officer of the Department of Community and Behavioral Health, and she directs the UI Prevention Research Center (PRC), a network of academic, community, and public health partners that conducts applied public health research to improve the health of rural communities in Iowa. She also directs the community engagement component of the Institute for Clinical and Translational Science (ICTS) program. 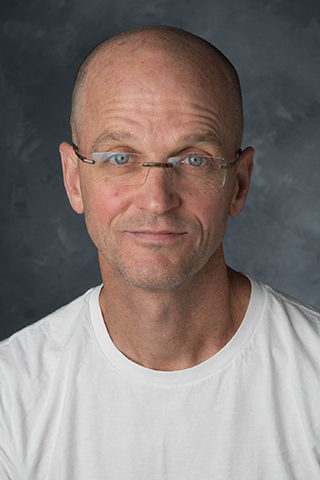 Richard Shields, Department of Physical Therapy and Rehabilitation Science. Shields is a highly respected leader in rehabilitation research whose lab has been at the forefront of advancing new knowledge in the field of neural, muscular, and skeletal adaptations after spinal cord injury. His work has contributed substantially to better care for individuals with spinal cord injury, who are now receiving earlier interventions that improve their health and quality of life. He has also trained some of the top rehabilitation scientists in the country and continues to push the field forward through innovative professionalism development programs for faculty, staff, and students. A novel interprofessional-education program he developed and implemented across five UI colleges has received national recognition from the Association of American Medical Colleges. 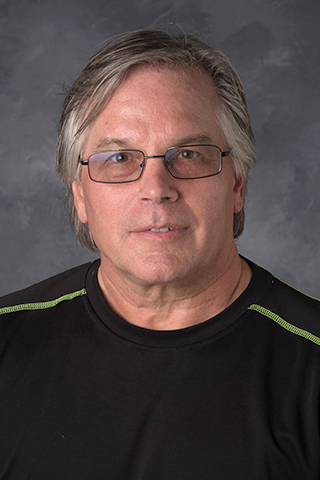 Shields has served as departmental executive officer for the Department of Physical Therapy and Rehabilitation Science since 2006, and under his leadership the Doctor of Physical Therapy professional degree program has been consistently ranked among the best in the nation. Edwin Stone, Department of Ophthalmology and Visual Sciences. A true pioneer in vision research, Stone has been instrumental in the identification of dozens of genetic causes to eye diseases, including the first human gene known to cause glaucoma. He is the driving force behind the creation of the John and Marcia Carver Nonprofit Genetic Testing Laboratory, which he directs—an internationally-known testing facility that maintains one of the world’s largest databases of DNA samples and is a vital resource to academic researchers, clinicians, and patients worldwide. He spearheaded the creation of and directs the Stephen A. Wynn Institute for Vision Research, where 30 faculty members from eight departments and four colleges are focused on finding cures for blinding eye diseases that affect millions of people. He has raised more than $70 million in philanthropic support, which has supported the recruitment of numerous outstanding faculty. Stone has seen patients in the UI Department of Ophthalmology of the University of Iowa for over 30 years. Peter Rubenstein, Carver College of Medicine. 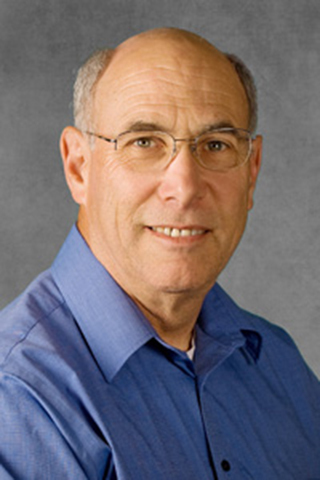 Rubenstein, professor of biochemistry in the UI Roy J. and Lucille A. Carver College of Medicine (CCOM), is a longstanding leader in faculty governance who has been a part of more than 60 university, collegiate, and departmental committees, including the Faculty Senate, Graduate Council, CLAS Faculty Assembly, and CCOM Executive Committee. He has brought recognition to the UI through his active service as a member of six national scientific societies. He is also a beloved and dedicated educator whose leading participation in the development of the new medical curriculum will have a positive impact on medical education at the UI long into the future. He received the Regents Faculty Excellence Award in 2002, the President and Provost Award for Teaching Excellence in 2013, and the Hancher-Finkbine Faculty Medallion in 2016. In 2014, he was elected to the American Association for the Advancement of Science. Larry Weber, College of Engineering. Weber is professor and Edwin B. 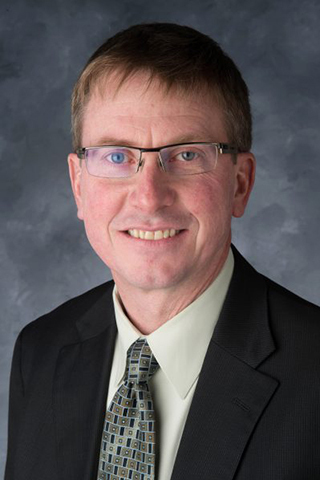 Green Chair in Hydraulics in the Department of Civil and Environmental Engineering and recently became executive associate dean in the UI College of Engineering. Previously, Weber served for more than 13 years as director of IIHR–Hydroscience and Engineering. While leading IIHR, he co-founded the Iowa Flood Center, which works to strengthen Iowa’s flood resiliency, and co-founded (in partnership with Iowa’s other public universities) the Iowa Nutrient Research Center, which is dedicated to studying Iowa water quality. He serves the state as a member of the Iowa Water Resources Coordinating Council, as well as numerous other state and federal committees related to water-resources planning. He recently helped lead Iowa’s successful application to the National Disaster Resilience Competition hosted by the U.S. Department of Housing and Urban Development (HUD), resulting in a $97 million award to the state. He received the College of Engineering Faculty Award for Exceptional Service in 2010 and the Board of Regents Faculty Excellence Award in 2014. Kathleen Newman, College of Liberal Arts and Sciences. Newman is associate professor of Spanish and Portuguese and cinematic arts in the College of Liberal Arts and Sciences, with a research focus on the relationship between fictional narrative and politics. With the 2017–18 May Brodbeck Humanities Fellowship, she will advance her work on her book Transnational Modernity: Argentine Cinema and Society, 1910–1935, a study of the relation between silent film, early feminist movements, and democratization in Argentina. The book examines the role of cinema—both national and imported feature films—in shaping a new political imaginary in Argentina in the years leading up to and immediately after the nation’s first military coup of the 20th century, in 1930. It will offer a new perspective for film theory and social theory about how external and internal forces shaped Argentina’s political future.